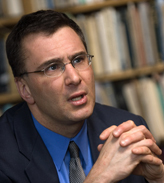 Jonathan Gruber is a professor of economics at the Massachusetts Institute of Technology (MIT). Professor Gruber is also a research associate at the National Bureau of Economic Research and director of the NBER’s Program on Children. His primary research interests include access to health care and health care outcomes, the market for and the effects of employer-provided health insurance, and the impact of Social Security systems on retirement decisions. Professor Gruber has been with MIT since 1992, with the exception of 1997-98, when he was a deputy assistant secretary for economic policy in the U.S Treasury Department. Professor Gruber earned his B.S. from MIT and his Ph.D. in economics from Harvard University. Does Medicare Part D Protect the Elderly from Financial Risk?